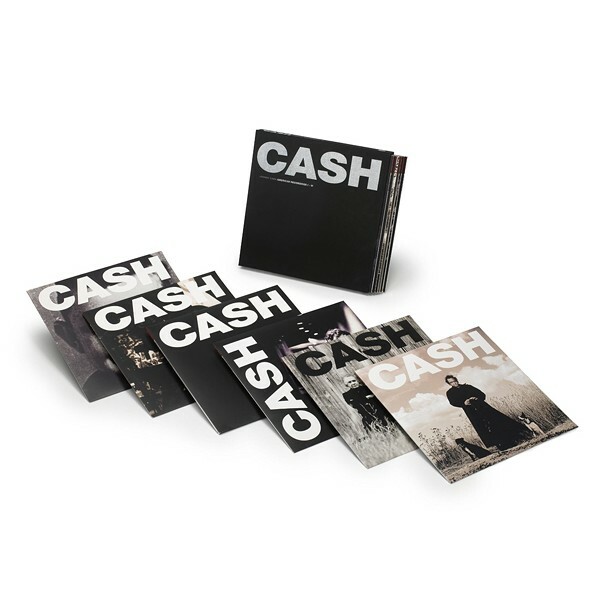 All six American Recordings titles of Johnny Cash are available in their entirety in one box for ther first time. 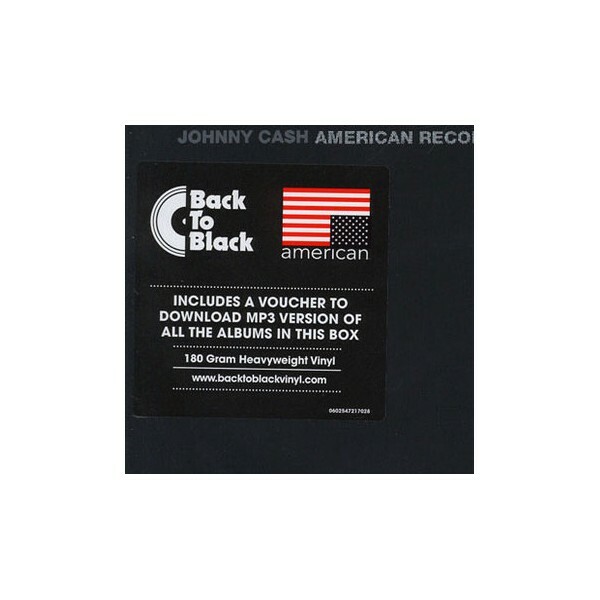 Ever-prolific singer/songwriter Johnny Cash special Limited Edition repressings of 6 titles which include American Recordings, Unchained, American III: Solitary Man, American IV: The Man Comes Around, American V: A Hundred Highways & American VI: Ain't No Grave. 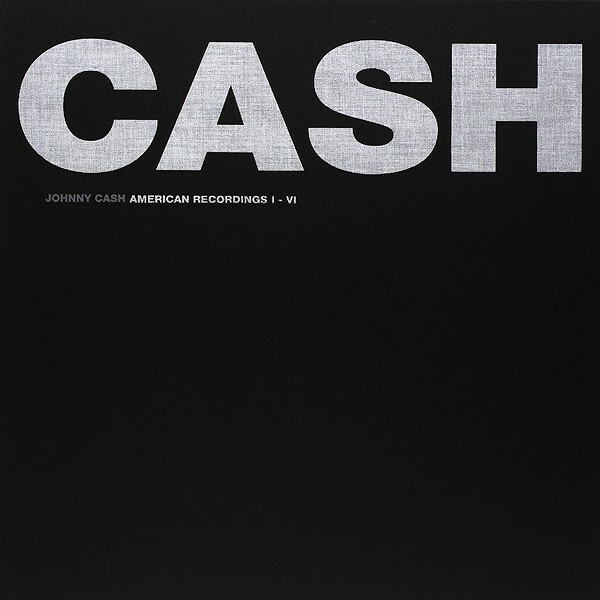 In the early '90s, Johnny Cash signed to Rick Rubin's American label and began releasing the American Recordings series of albums. Produced by Rubin, the American Recordings were stark, stripped-down, mostly acoustic meditations on the more apocalyptic side of his persona, writes Rolling Stone. Cash covered Beck, Nick Cave, Bonnie "Prince" Billy, Soundgarden, Danzig, and, of course, Nine Inch Nails' "Hurt." And he cemented his reputation as one of the reigning badasses in American music history — not that that rep really needed much help. These are acoustic roots-radical albums on hip hop/metal producer Rick Rubin's label of the same name. The albums wonderfully capture Cash's famous baritone as powerful as ever. The set includes American Recordings, Unchained, Solitary Man, The Man Comes Around, American V: A Hundred Highways and the final chapter and last recording in the series, American VI: Ain't No Grave. Topping out on the C&W chart at No. 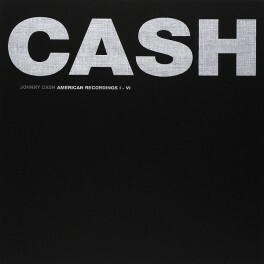 23 and lingering on the pop chart for nine weeks, American Recordings also took home a Grammy for Best Contemporary Folk Album. In addition to Cash originals like "Let The Train Blow the Whistle," "Drive On," "Redemption," and "Like A Soldier," the intimate 13-song set features stirring covers of songs by artists of all backgrounds including Nick Lowe ("The Beast In Me"), Kris Kristofferson ("Why Me Lord"), Glenn Danzig ("Thirteen"), Leonard Cohen ("Bird On A Wire"), Tom Waits ("Down There By the Train") and Loudon Wainwright III ("The Man Who Couldn't Cry"). Cash returned with its equally as impressive follow-up Unchained in 1996. Whereas American Recordings featured Johnny unaccompanied on acoustic guitar, Unchained finds the music legend backed by Tom Petty and the Heartbreakers and Marty Stuart. The heartfelt 14-song set again consists of a mix of Cash originals like "Country Boy," "Mean Eyed Cat" and "Meet Me in Heaven" and effective covers of material by a diverse selection of artists including Beck ("Rowboat"), Soundgarden ("Rusty Cage") and Tom Petty ("Southern Accents") among others. Unchained became Cash's second straight Grammy-winning album, this time for Best Country Album. After rejuvenating his career with the two Grammy winning albums American Recordings (1994) and Unchained (1996), Johnny took a four year break due to health reasons before returning in 2000 for his third release in the series, Solitary Man. This time around Cash performs his originals/covers program unaccompanied as well as duets with guest artists like Tom Petty, June Carter, Merle Haggard, Sheryl Crow and Will Oldham. Along with his own compositions "Field of Diamonds," "Before My Time," "Country Trash" and I'm Leavin' Now," the 14-song set features Cash's moving takes on U2's "One," Tom Petty's "I Won't Back Down," Neil Diamond's "Solitary Man," and Will Oldham's "I See A Darkness." Cash was awarded a Grammy for Best Male Country Vocal Performance for his version of Diamond's "Solitary Man," his third straight album to take home hardware from the prestigious institution. 2002's The Man Comes Around is the fourth in the series of excellent collaborations with Rubin and the last released before his death in 2003. The Man Comes Around includes new Cash compositions like the title track and revisits of older material such as "Give My Love To Rose" and "Tear Stained Letter" as well as a diverse array of cover songs including Nine Inch Nails’ "Hurt," Depeche Mode's "Personal Jesus," Simon & Garfunkel’s "Bridge Over Troubled Water" with Fiona Apple, the Eagles "Desperado" with Don Henley, and Hank Williams' "I'm So Lonesome I Could Cry" with Nick Cave. The Man Comes Around also continued Cash's Grammy winning streak, taking home awards for Best Country Male Vocal Performance for "Give My Love To Rose" and Best Short Form Video for the moving music video for "Hurt." 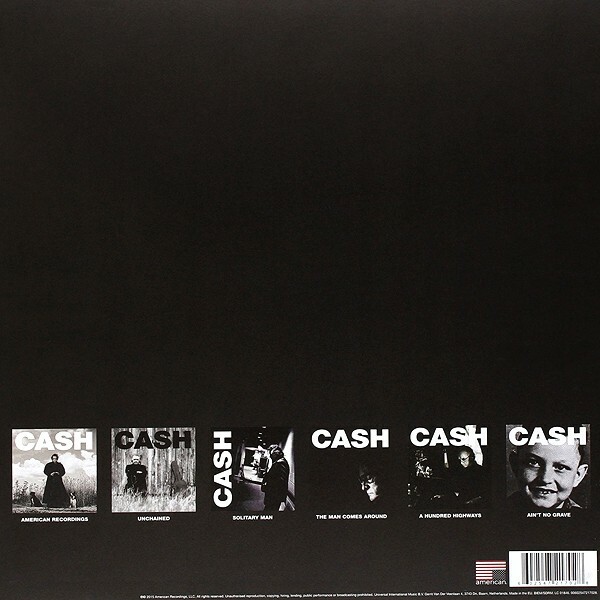 Cash's first posthumous release, American V: A Hundred Highways (2006) debuted at No. 1 on both the Billboard Top 200 and the Country Albums chart, and contains 12 tracks recorded in 2002-2003 including the original, “Like The 309” (the last song that Johnny wrote and recorded before he died). American VI: Ain't No Grave (2010) is the final chapter and last recordings in the illustrious series. Recorded during the same 2002-2003 sessions that produced its predecessor American V: A Hundred Highways, American VI: Ain't No Grave features one Cash original ("I Corinthians 15:55"), covers of material by Sheryl Crow ("Redemption Day") and Kris Kristofferson ("For the Good Times") and the Avett Brothers on the title cut.